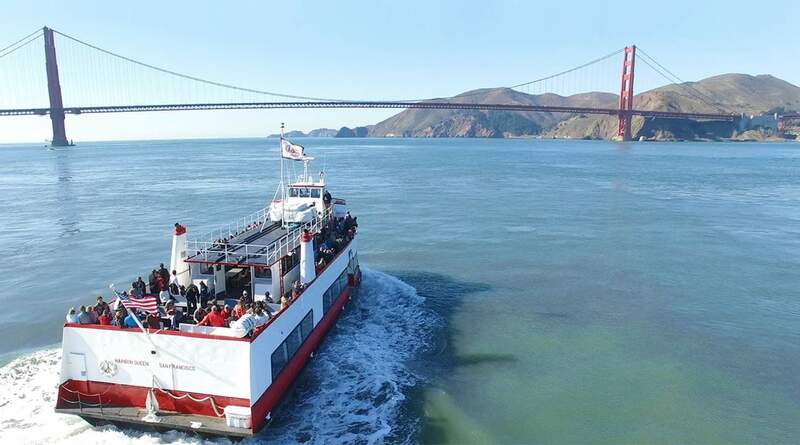 Discover the most iconic landmarks in San Francisco with an hour-long Golden Gate Bay cruise. Sail from Fisherman's Wharf, home to many of the seafood's popular seafood restaurants. 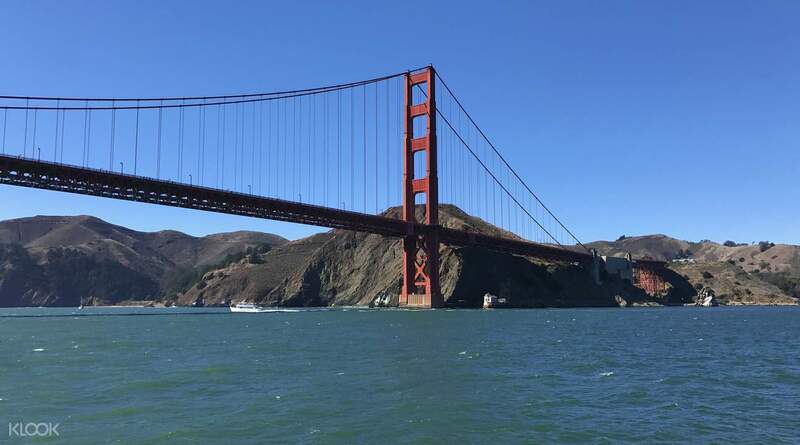 From there, you'll cruise through the North Beach neighborhood, the Maritime National Park, Fort Mason, the Marina District, the iconic Golden Gate Bridge, and more! 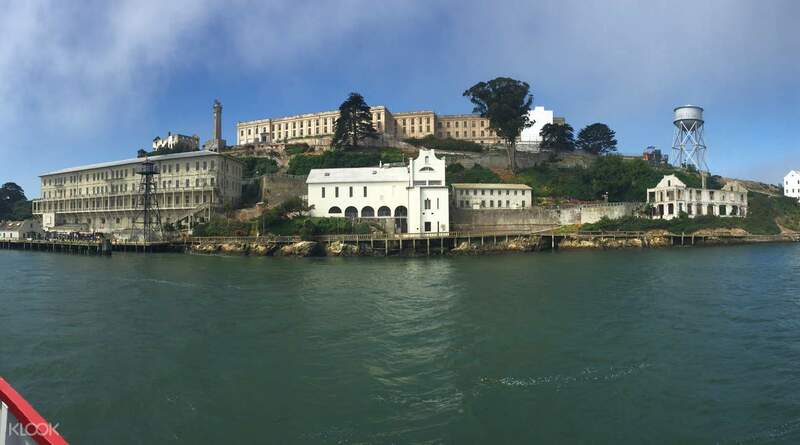 You'll even get a chance to sail towards the infamous Alcatraz Island - which was once home to the former prison. 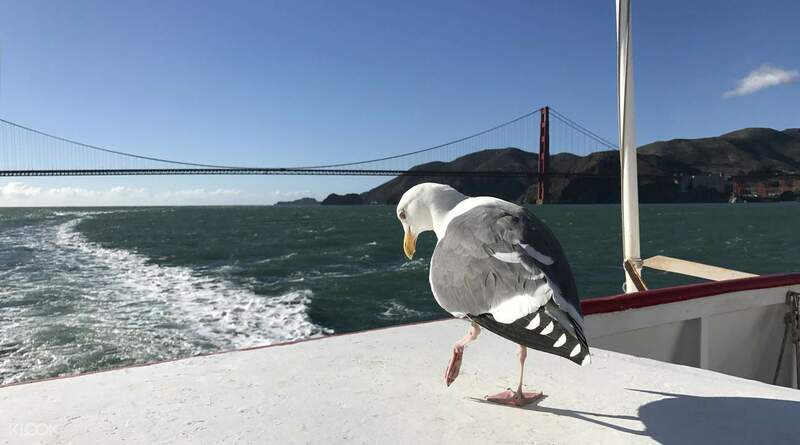 The cruise ends where it departs - at Fisherman's Wharf, but this time around you might even be greeted by sea lions as soon as you return to port. The best part? The tickets are open dated and valid for one year - perfect if you have a trip coming up but haven't finalized any of the plans yet. See popular sights like Alcatraz Island, Fort Mason, and more! Although the weather is bad, still I enjoy the trip on this boat. The ship is not a small one, so it will be very stable, and also it carries us to a lot of places to visit. Most importantly, it will stop under the Golden Gate bridge. That is amazing. The price is good as well. Although the weather is bad, still I enjoy the trip on this boat. The ship is not a small one, so it will be very stable, and also it carries us to a lot of places to visit. Most importantly, it will stop under the Golden Gate bridge. That is amazing. The price is good as well. The ride is good. The headset facility for the information broadcasting is easy to use. The boarding location is close to the final stop of the cable car and easy to find. Overall, it is a great trip. The ride is good. The headset facility for the information broadcasting is easy to use. The boarding location is close to the final stop of the cable car and easy to find. Overall, it is a great trip. Easy to book and use the tickets. Cruise was great. Easy to book and use the tickets. Cruise was great. It was absolutely worth to try. Their audio tour was fun and real at the same time. Thanks for the great pics. You need to queue and exchange your e-ticket for a paper ticket, so I recommend you get there at least 20 mins earlier. The audio tour was very useful. If you are on a trip to San Francisco, it's a must-do tour - you should change your eTicket to a paper ticket. I recommend you arrive 20 minutes before boarding! It was definitely worth to try. Their audio tour was fun and real at the same time. Thanks to the amazing weather, I was able to take great pics. You need to queue and exchange your e-ticket to a paper ticket, so I would recommend you get there at least 20 mins earlier. 오디오투어가 굉장히 유익했습니다. 샌프란시스코 가신다면 한번은 꼭 해보셔야 할 투어인 것 같아요- 이티켓을 종이티켓으로 바꿔야하니 승선하기 20분전에는 도착하시는 것을 추천합니다! It was an hour and a half and it was boring. 한시간 반짜리로 했음 지루 했을뻔 1시간이 딱 좋은 여행이었던거 같습니다.